Browsing the archives for the vietnam category. Vietnam Trip, Feb 2011: We returned to Saigon / Ho Chi Minh CIty after three quiet days in Sa Dec. It’s impossible in photos to capture the frenzy of Saigon’s busy streets, teaming with scooters, taxis, carts and people and about as noisy as you can imagine from very early until very late at night. Yet by the end of the trip we’d learned to tune out the hustle and bustle and focus on the charming sites and sounds as millions of residents go about their daily routines. Some of the frenzy is simply what you find in most big cities, but I’d have to say that Saigon “felt” much busier to me than Los Angeles, Paris, Rome, or even Beijing or Shanghai. Unlike European and American cities I think Saigon / HCMC is growing very fast and changing reapidly, and unlike China’s megalopolises there’s not a lot of funding or guidance or enforcement of traffic and planning rules to channel the rapid development. In Hoi An’s Historic District, a UNESCO World Heritage Site,we toured some historic homes and had a chance to see how in many ways little seems to have changed over centuries of life in this cozy seaside town. The rainy season in Hoi An brings the river up – way up – and most of the homes will need to move into the second floor as the first will be flooded to a depth of 3+ feet. A resident of this house – one of the oldest in the city – casually explained to us how she’d tie down the heavy furniture so it would not float away and then bring things up to their second floor. My understanding is that people get around by boat during the flood times. construction in Vietnam is concrete and tile more than the wood and sheetrock built homes you would see in much of the USA. 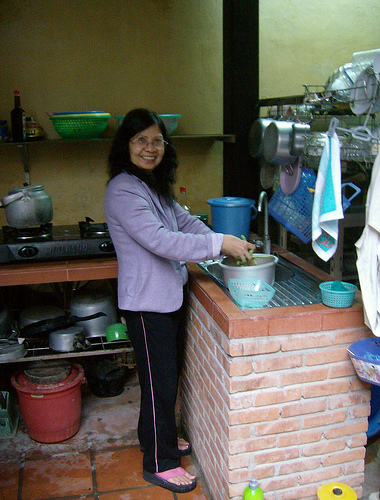 Here’s the modern version of that kitchen in the same house, which is other kitchens we’ve seen in homes throughout Vietnam – small but very efficiently organized. THANK YOU FOR YOUR INTEREST IN VISITING VIETNAM AND FOR WRITING TO THE EMBASSY. PLEASE REVIEW THE FOLLOWING INFORMATION ORGANIZED IN THE FORM OF Q&A’S. 1) DO I NEED A VISA? – TECHNICALLY, ANY HOLDER OF A VALID (6 MONTHS PRIOR TO EXPIRATION) PASSPORT OTHER THAN VIETNAMESE, NO MATTER WHAT CITIZENSHIP, NEEDS A VISA. – THIS GENERAL RULE IS APPLICABLE TO US CITIZENS, CANADIAN CITIZENS, LATIN AMERICAN COUNTRIES, EU CITIZENS, AND JAPANESE CITIZENS. – PLEASE CONTACT THE NEAREST VIETNAM EMBASSY FOR FURTHER INFORMATION IF YOU THINK YOUR COUNTRY AND VIETNAM HAVE A VISA-WAIVER AGREEMENT. 2) HOW EARLY AND HOW LATE CAN I APPLY FOR A VISA? – YOU CAN APPLY FOR YOUR VISA AS EARLY AS SIX MONTHS PRIOR TO THE PROPOSED DATE OF ENTRY. – YOU CAN APPLY FOR A VISA AS LATE AS A FEW DAYS PRIOR TO YOUR DEPARTURE. PLEASE CALL OR EMAIL THE EMBASSY TO CHECK YOUR OPTIONS FOR RUSH/EXPEDITED SERVICE. 3) HOW LONG WILL THE VISA BE GOOD FOR? – THE VISA WILL BE ISSUED ON THE BASIS OF YOUR SPECIFIC PROPOSED DATES ON THE APPLICATION. – THE APPLICANT CANNOT ENTER THE COUNTRY BEFORE THE DATE. 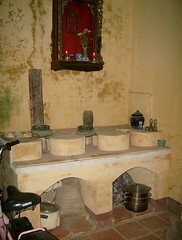 – IF YOU STAY IN VIETNAM LESS THAN ONE MONTH, CHECK THE “ONE MONTH” BOX. – IF YOU STAY IN VIETNAM LESS THAN THREE MONTHS, CHECK THE “THREE MONTHS” BOX. – 1 PASSPORT-SIZE PICTURE (2X2). – FEE (1 MONEY ORDERS PER APPLICATION PACKAGE), PAYABLE TO “EMBASSY OF VIETNAM.” APPLICANTS APPLYING TOGETHER MAY SUBMIT THE FEE IN ONE MONEY ORDER. – A SELF-ADDRESSED POSTAGE-PAID RETURN ENVELOPE. FOR THE SAFETY OF YOUR PASSPORT(S), PLEASE USE ONLY ONE OF THE FOLLOWING MAILING SERVICES WHICH PROVIDE TRACKING NUMBERS: OR US EXPRESS MAIL OR CERTIFIED MAIL WITH FULL LABEL. PLEASE DO NOT USE OTHER MAILING SERVICES. APPLICANTS APPLYING TOGETHER MAY PROVIDE ONE ENVELOPE FOR VISAS TO BE RETURNED TO THE SAME ADDRESS. 5) HOW TO FILL OUT THE APPLICATION? – ALL ITEMS MUST BE FILLED-OUT COMPLETELY IN UPPER CASE LETTERS. – DO NOT USE PO BOX ADDRESSES. – ITEM 10 (NAME, ADDRESS OF YOUR CONTACT IN VIETNAM) IS REQUIRED. 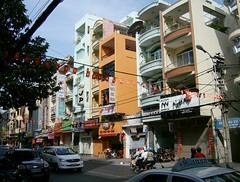 MAKE SURE THAT YOU YOU PUT THE ADDRESS AS WELL THE PHONE NUMBER WHERE YOU WILL STAY IN VIETNAM (THE HOTEL …). IF YOU DO NOT HAVE THIS INFORMATION RIGHT NOW, YOU MAY LEAVE THAT BLANK. – IF YOU DO NOT HAVE VISA APPROVAL NUMBER, JUST LEAVE IT BLANK. THE EMBASSY OF VIETNAM WILL TAKE CARE OF IT FOR YOU. 6) WHAT IS THE FEE? WITHOUT AN APPROVAL. THE FOLLOWING FEE IS TOTAL FEE, COVERING FOR VISA STAMPING FEE, VISA APPROVAL ARRANGEMENT FEE AND PROCESSING FEE. + $70.00/ EACH PERSON (WITH 3-4 BUSINESS DAY PROCESS). + $80.00/ EACH PERSON ( WITH EXPEDITE SERVICE – 01-2 BUSINESS DAYS). B. SINGLE ENTRY, THREE-MONTH: $90.00/ EACH PERSON (2 BUSINESS DAYS). C. MULTIPLE ENTRY ONE-MONTH: $120.00/ EACH PERSON (WITH SERVICE 2 BUSINESS DAYS). D. MULTIPLE ENTRY THREE-MONTH: $150.00/ EACH PERSON (WITH SERVICE 2 BUSINESS DAYS). * SINGLE ENTRY: IF YOU ENTER VIETNAM ONE TIME. MULTIPLE ENTRIES: YOU ENTER VIETNAM MORE THAN ONE TIME (YOU ENTER VIETNAM, GO TO ANOTHER NEIGHBOURING COUNTRY AND GO BACK TO VIETNAM). * AT PRESENT, THE EMBASSY OF VIETNAM CAN ARRANGE AN APPROVAL FOR A VISA GOOD FOR 3 MONTHS, MULTIPLE ENTRIES AS MAXIMUM. A VISA GOOD FOR MORE THAN 3 MONTHS CAN ONLY BE ISSUED TO ANY APPLICANT WHO HAS OBTAINED A WORK PERMIT AND A VISA APPROVAL ALREADY. 7) HOW TO PAY THE FEE? PLEASE PREPARE ONE MONEY ORDER PAYABLE TO “THE EMBASSY OF VIETNAM”. NOTE: ONE GROUP APPLYING TOGETHER CAN USE ONE MONEY ORDER FOR THE ENTIRE GROUP. IF YOU GO IN PERSON, YOU CAN PAY IN CASH. 8 ) HOW TO SUBMIT? PLEASE DO NOT USE OTHER MAILING SERVICES. APPLICANTS APPLYING TOGETHER MAY PROVIDE ONE ENVELOPE FOR VISAS TO BE RETURNED TO THE SAME ADDRESS. PLEASE DO NOT ASK FOR MAIL DELIVERY AT THE EMBASSY AFTER HOURS, DURING WEEKENDS AND HOLIDAYS. – NO INFORMATION AVAILABLE NOW, AND IT IS NOT REQUIRED. 11) CAN I GET A VISA AT THE AIRPORT? – WITHOUT A PROPER ENTRY VISA, AIRLINERS WILL NOT ALLOW THE PASSENGER TO BOARD. – PLEASE USE THE 2-DAY PROCEDURE DESIGNED TO ASSIST APPLICANTS UNDER TIME PRESSURE. WE HOPE ALL YOU WANTED TO KNOW HAVE BEEN ANSWERED. IF YOU STILL HAVE FURTHER QUESTIONS, PLEASE EMAIL TO THE EMBASSY AT CONSULAR@VIETNAMEMBASSY.US.